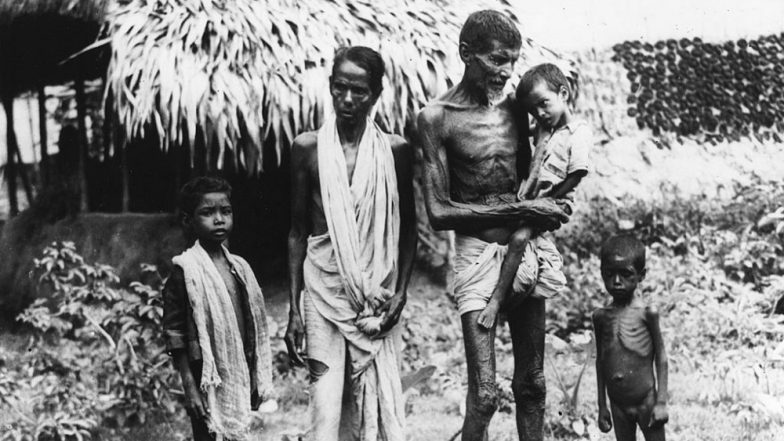 The study notes that the Bengal drought of 1873-74 was far more severe than 1943. However, the measures adopted by then Bengal lieutenant governor Richard Temple ensured zero mortalities. Temple had imported additional food grains, ensured efficient distribution, set up relief camps and distributed money to mitigate the crisis, Mishra found. The actions of Temple, though lauded in India, drew flak in the United Kingdom, the researcher points out. He was charged of adopting a largesse approach, and his action-plan to address droughts were discontinued for dealing with future famines. In 1943, Mishra found, the water-level was way higher than 1873-74. However, the Churchill regime continued to order the vast export of food grains from India, during the period when Bengal was facing its worst crisis. Between January to July that year, India had exported nearly 70,000 tons of rice. In addition, the import of food materials from Japan and other eastern countries was cut off, due to submarines infesting the Bay of Bengal. This was reiterated by Nobel prize-winning economist Amartya Sen, who had argued in 1981 that Britain could had done way more than it did to save the lives of Bengali residents in the 1943 famine.